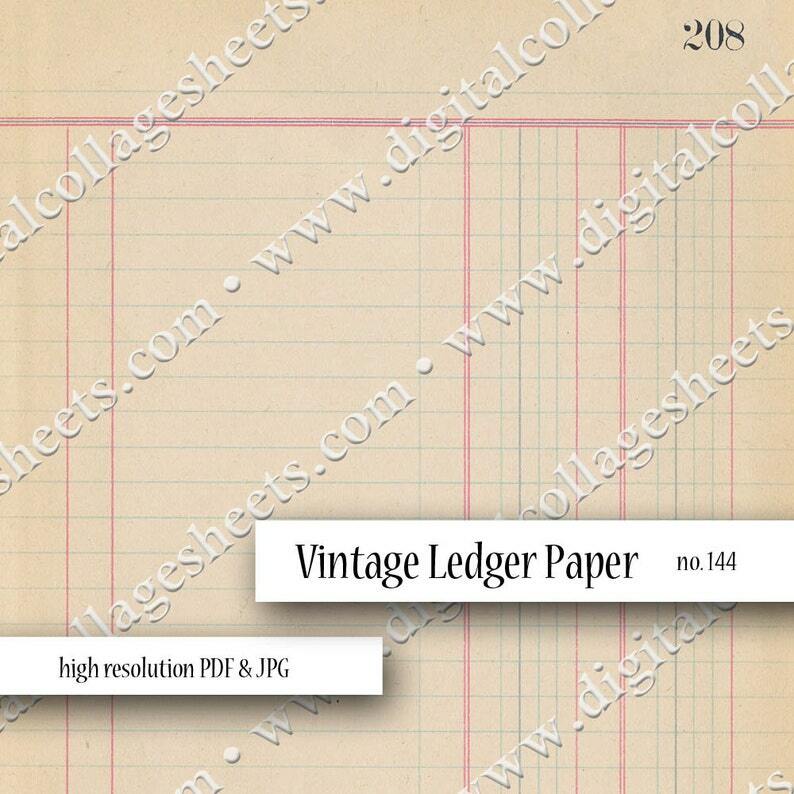 Sheet contains 1 sheet/image of vintage ledger paper. Image measures 8" x 10.5". This allows for you to print it at home on a standard 8.5" x 11". Because this image is 300dpi, it can be enlarged via professional printing. I recommend no larger than 11" x 17". Also, this image can easily be used for digital collage and scrapbooking, however, please make sure you are aware of our policies (see details below).